If there’d be a competition for the best pub terrace in Budapest, Liebling would totally end up on the podium. A little island in the downtown, where you can observe the city’s daylight buzz and night time mess. The pub has a pleasant and refreshing resemblance of early 20th century design, which slightly highlights this place amongst the other ruin pubs. The soul of Liebling is definitely its terrace, where you can sip your afternoon coffee or have a beer with your company and listen to some live music, which is regularly provided here. They thought of winter time also, as the terrace is heated in colder seasons. When you go downstairs on the fabulous caracole stairs, you can see the well designed ground floor with the shabby walls and a big dance hall. One of Liebling’s strength is live music, a great selection of artists perform there every month to choose your favorite from. If you like to dance, we have good news for you: every Wednesday is dance party night with an appropriate music collection, and when you’re tired of dancing and like to drink something instead, you’ll find quality wines and spirits here. 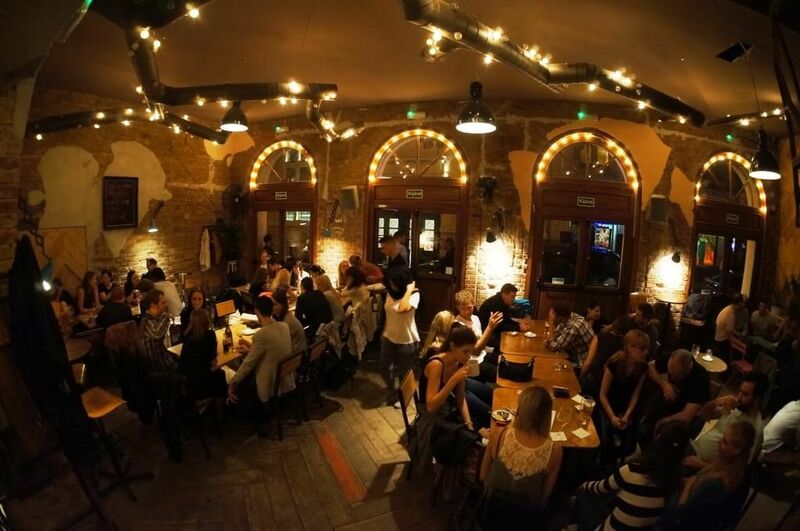 Fogasház and Instant are next door, so you’ll probably won’t get bored here!